The Glenelg River starts in the Grampians and is interrupted near Balmoral by Rocklands reservoir where a large amount of the water is redirected north to the Wimmera. Sadly, most of the diverted water is lost to evaporation and seepage in the channels used to move the water north. The proposed Wimmera Mallee pipeline when completed, will reduce seepage and evaporation, and leave much more water for the Glenelg. The Glenelg River is a link between many different types of environment. It starts in the mountainous Grampians and ends at the sea near Nelson. 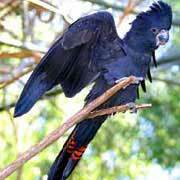 It goes through rich Red Gum country and the poorer sandy soils that are home to the Red-tailed Black-Cockatoo. For many creatures it is a corridor that allows free travel to different areas. The quality of water in the Glenelg is affected by stock manure, salinity and litter. Stock manure contributes to algal blooms but we can stop it by fencing stock out. We reduce salt by planting trees and lowering water tables and we can reduce litter by not dropping rubbish on footpaths or roads where our stormwater system washes it straight into the Glenelg. Parts of the Glenelg River used to be a ‘string of waterholes’ with many holes up to 6 metres deep. Erosion from the past has swept sand into the river, filling many of the holes. Without the deep holes there is nowhere for fish to live or for kids to swim. Some of the sand is now being removed by sand extractors. In the 1960’s teams of men worked to remove all the snags in the Glenelg River near Casterton. This was common practice to reduce flooding. We now know that snags have little effect on flooding but are very important in providing a home for fish and other creatures like the platypus by creating holes and pools. Snags are now being carefully put back in areas to encourage life in the River. There are many native fish in the Glenelg River providing good sport for local fishermen. Pest species like Carp destroy in-stream habitat and food sources for native and recreational fish. Carp also contribute to poor water quality by increasing turbidity. Any Carp found in the Glenelg should be reported to the Glenelg Hopkins Catchment Management Authority (CMA) immediately. Stock can cause a lot of erosion of river banks. Every step pushes more sand into the river and grazing stops plants from growing that would hold the banks firm. Fencing that stops stock from getting to river banks is one of the best things we can do to protect the Glenelg River. 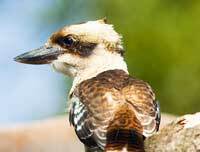 Platypus, fish and other water critters feed on tiny waterbugs and insects. These tiny creatures feed on the leaves and seeds that drop from plants into the River. 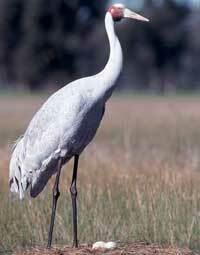 A healthy bank of native vegetation is the best way to ensure plenty of food for all our water animals. Weeds come in many forms. They can be small like African Feather Grass or large like Willow trees. Unlike the native plants that are meant to be here, weeds are not controlled by natural processes. Weeds can completely dominate and make it impossible for the native plants to live. Native trees and bushes don’t just look beautiful. They stop erosion, they capture run off nutrients that cause algal blooms, they shade the water keeping it cool for fish and provide a food source for all the native birds, animals and fish that live along the Glenelg. The Glenelg River is there for us all to enjoy. When was the last time you went to the River? Why not pop down for a paddle or perhaps find a deeper hole for a bit of fishing. How about a picnic at one of the local riverside parks or you could go to a more private spot in one of the state reserves. Whether our interest is fishing, swimming, paddling, a romantic picnic, watching birds or hunting for wildflowers there’s something for everyone. Friends of the Glenelg River are always looking for more river activities, if you have any ideas, ring Chairperson, Tim Burnard, to help make it happen.